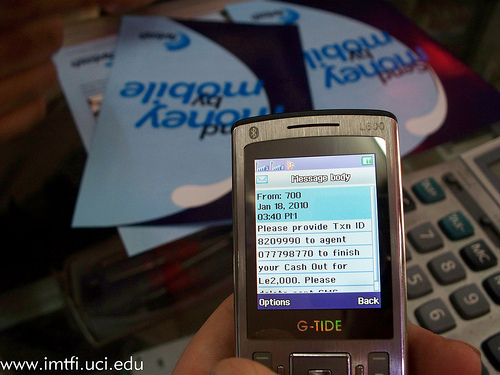 This is an excerpt from a final report by Roxana Barrantes and Alvaro Grompone based upon their IMTFI-funded research project investigating financial inclusion efforts in Latin America through the expansion of mobile financial services. There is growing consensus that banking the poor in developing countries could accelerate with the use of mobile telephony platforms. A simple comparison of the number of mobile telephony subscriptions and the number of bank accounts among people at the bottom of the pyramid shows an impressive discrepancy in favor of the former. What would be needed for every mobile telephony subscriber to also become, with that tool, a user of the financial system? The answer to that question requires consideration of issues related to supply and demand. The latter include typical self-exclusion mechanisms due to risk aversion. Among supply-side considerations, we should determine why financial institutions do not partner with telecommunications enterprises to offer access to their service, and related questions. This study explores these supply-side considerations. We adapted a methodology developed by Samarajiva (2005) and LIRNEasia (2008) to evaluate the regulatory environment for telecommunications and the extent to which it promotes investment in various components of the ecosystem necessary for the development of mobile financial services (MFS), as conceptualized by the World Economic Forum (2011). The methodology consisted of identifying private sector stakeholders who are important for development of the MFS ecosystem and asking them to respond to a questionnaire that evaluated various dimensions of the ecosystem on a Likert scale ranging from 1 (very ineffective) to 5 (very effective). This rating was corroborated with in-depth interviews, as well as an objective prior assessment of each dimension to be evaluated. The experts were grouped into three categories according to their ties with the sector, with each category given equal weight in the final result. The ecosystem for MFS deployment is divided into three environments, each consisting of several dimensions. The first environment is institutional, consisting of six dimensions: (i) financial sector regulation for MFS; (ii) financial sector regulation contributing to financial inclusion; (iii) telecommunications sector regulation for MFS; (iv) telecommunications sector regulation contributing to financial inclusion; (v) coordination and joint policies for MFS; and (vi) consumer protection in MFS. The second is the market environment, consisting of five dimensions: (i) competition in the financial sector; (ii) competition in the telecommunications sector; (iii) innovation in the telecommunications sector; (iv) government leadership in MFS; and (v) management of data about beneficiaries of social programs. The last is the end-user environment, consisting of three dimensions: (i) support infrastructure for non-bank correspondents; (ii) network penetration of banking agents; and (iii) management of data for attracting new financial users. The experts identified were asked to assess each of these fourteen dimensions. Read results of each case study in English and Spanish, available on the DIRSI website.